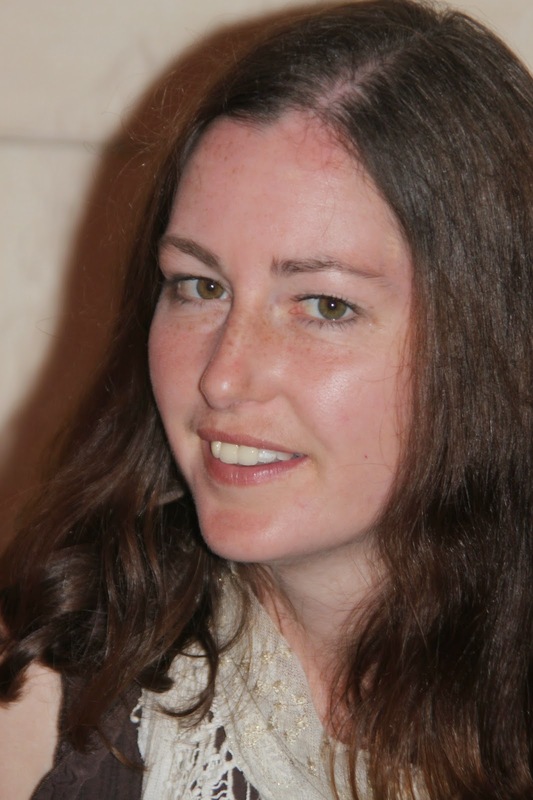 Her first novel, Finding A Voice, was published by O'Brien Press in 2014 and was nominated for the Guardian YA Prize. I have stories up my sleeve in quite a few genres, because I read many different genres and ultimately I’ve always written to entertain myself. Technically, Young Adult is not a genre—but that is the age range I am writing for, and both Finding a Voice and the book I am working on now are realistic fiction. For some reason I’m not sure of, the stories I want to tell are about teens. Can I tell you where I wish I could write? At this time of year, I dream of a cosy room, penned in by bookshelves on every wall, with the fireplace (which magically never needs to be lit or cleaned). In reality, we have squeezed in a desk beside the bed. I have a heater under the desk instead of a fire, and the books are all over the desk rather than the walls, but it’s grand. I can write anywhere if I need to. The best thing about being a writer are those infrequent times when everything flows and words, sentences, scenes just happen without seeming to have any input from me. That buzz is exactly the same now as it was when I started writing as a child. While the best part of writing has never changed, the worst part is changing. The worst part about being a writer for me at the moment is the frustration of wanting so badly to do nothing but write, but financially, still needing to work a job that drains me of thoughts. Tell us why you wrote Finding A Voice? I know this is going to sound ridiculous, but I wrote this particular book because I couldn’t not write it. I was working on another novel at the time but it wasn’t going well and Jo, the main character in Finding a Voice, was very persistent in insisting that she had something to say. So I decided to stop writing the other novel and give her one month to say it. It took longer than that to write the book obviously, but after a month I was hooked. What’s your biggest writing nemesis? The 24 hour clock, or maybe it is not that, but the need to sleep. Trying to balance work, a farm, a family, a new business and writing is proving tricky. Something has to go soon. Not that sleep wouldn’t be replaced by another nemesis! TV is always lurking in the background, threatening to eat up hours. 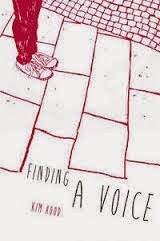 Well I guess I have to say Finding a Voice, since it is my only fully-formed, published book! I am proud of it though. It’s a simple story, but in its little way, I think it has quite a lot to say about some of the issues I am passionate about. I love the characters and I am so thankful that other people love them too. Which YA book do you wish you had written – and why? I had to think about this question for some time. There are so many YA books that I love to read, or loved to read as a teen, but I don’t wish I had written them. I couldn’t have written them; they were not my stories to tell. In fact, I love those books because they changed me in some way by showing me something I didn’t know (or did know, but needed to know that someone else felt that way too). Tell us how you heard about you’d been shortlisted for the YA Book Prize? I got a tiny heads up from O’Brien’s Press about an hour before the announcement and was told I could not say a word. It was torture, as I was starting a 19 hour shift at work exactly when the announcement was to be made! I never use roaming data on my phone, but that day I did. Despite my phone beeping constantly to reiterate that the news was indeed true, I didn’t really believe it for days. I am working on a book right now—another YA realism. After that, I have a couple more ideas lurking. All I want to do is write! I am so incredibly thankful for being shortlisted for the YA Book Prize because that boost in profile means so many more people know about Finding a Voice, and the dream of writing full time is becoming a little more possible. For now, I’ll steal any second I have and keep writing.